Right after he scored his milestone ton, one colleague of this scribe asked him, “Don’t you think he’ll play for another five years?” Now take that for a question. And in certain ways, the question itself was an answer. A manifestation of their belief in the man, that stood just 5-foot 5-inches above the ground, yet towering above most of his contemporaries. For one thing, Sachin Tendulkar would stand above all, that is for gathering the most number of fans across the globe, just the way we see him gathering runs in his pomp. This scribe, among many of his generation, is one such self-declared a fan of his. The generation that took to adulthood in 1990s – which also included some Nepali cricketers who played in recent times – watched him take his first steps in international scene. The whole generation read as many pieces written on him as possible. For some, it was statistics; for some food for thought; for some a way of learning cricket; while for some, one more topic to talk at the tea stalls. And that would either precede or proceed with the highlights of his innings on TV, which for many of us, were always a ‘masterpiece’. The magazines like ‘The Sportstar’ were the new bible, but any issue that did not carry a story on him was ‘a piece of trash’ and not worth buying. Growing up in 1990s was not easy. Nepal was an infant democracy, trying to learn how to walk the democratic path. The panchayat era influence on Nepali sports was there, although weakening; the newer controllers were trying to learn how to rein it in; the free market economic policy was the buzzword, although the younger lot were still to grab the concept; the insurgency was just flaring up in some remote part of the country; prices were going up and pocket money was not able to match with those; the curriculum wasn’t getting easier and the career path appeared limited; the IT revolution had started in our neighbourhood and we were not part of it – all enough to keep teenagers frustrated. But then there was Sachin Tendulkar. In some of the most ferocious strokeplay we’d ever watched, we found peace. With a young boy looks (then he was young as well), and a heavy willow in his hands, he was trying to prove that there was hope, amidst frustration. The mortals suddenly appeared elevated, for there was some heavenly charm in those innings. The 90s had become bearable, despite frustrations it held for so many of us. Come 2000s, we felt – journalists can be cruel people, especially with their questions. They talked about his decline. They asked him – When would you retire? And as most players, who spend a lot of time with PR coaches these days, he’d skirt away without an answer. The fans looked sideways to find an actual answer. When there’s a lull in any player’s career, how do we know that he or she will not overcome the slump? Although journalists are quick to write a player off, fans are not. 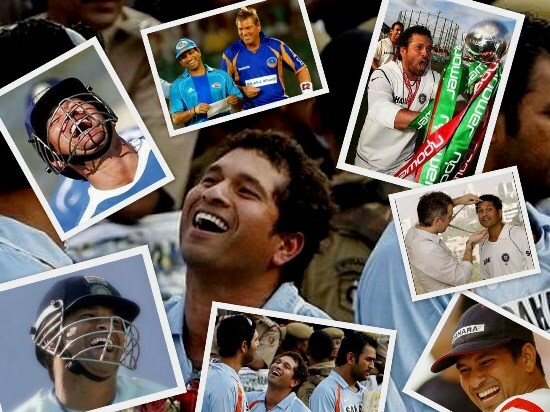 And celebration of Tendulkar’s innings is vindication of fan’s faith in him. For they knew, it would come. It had to, even if it meant 7 centuries within a year. And that’s a toast to Sachin Tendulkar, probably the greatest modern day cricketer, who could hold on to his fans, even when he could not do so, at times, with runs.